You work hard to ensure that your operations are sustainable and that you adhere to the latest reporting standards. Transparency matters to you and your business. Why? Because consumers care, investors care, employees care, journalists care and families and children care. But with all your hard work behind the scenes, wouldn’t it be great to shout out about it? 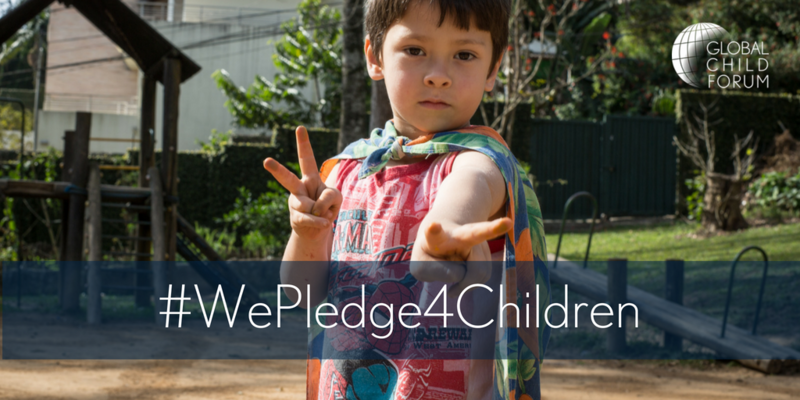 Your stakeholders should know that you’ve made this pledge to advance children’s rights in your operations and communities. They are interested. And who knows, you just might inspire a few other companies and organizations and people along the way. We’ve pulled together this toolkit to make it a bit easier for you to share news about your pledge. We’re proud that you are on this journey with us. And we hope you are too. Below are some social media sample posts that you are free to copy and use in your company’s communication channels, preferably together with the badges found below. We’ve answered the @GCForum call to create tangible initiatives which advance #childrights in our operations and communities. 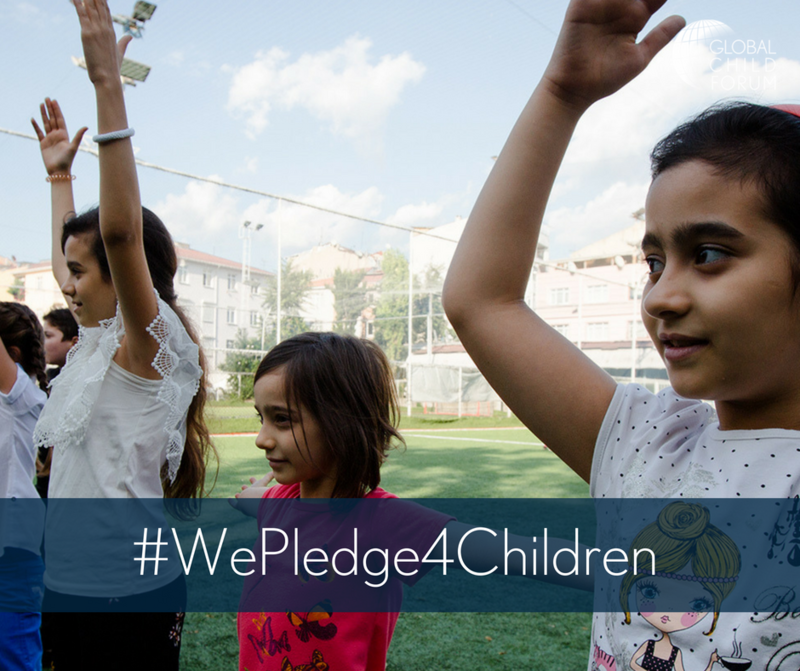 We’re part of the #WePledge4Children movement. Follow our progress! Blog post: If you currently have an active blog, please highlight your pledge commitment. You are also welcome to pitch a blog post to our blog, Frontlines. 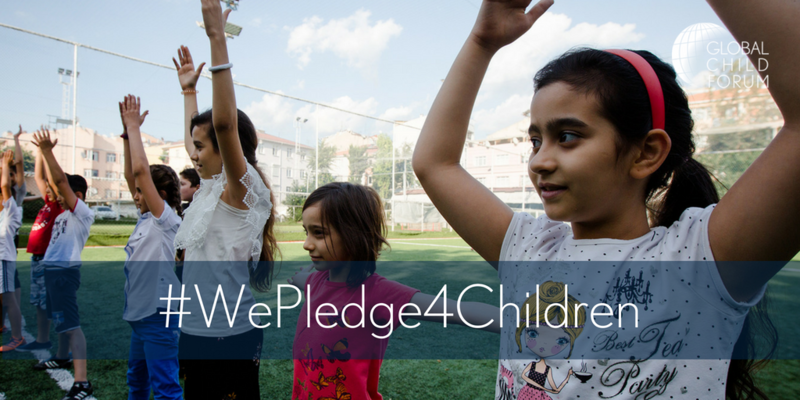 #WePledge4Children: Don’t forget to use our hashtag #WePledge4Children to highlight your pledge commitment and impact. Hashtags act as a filter for online conversations and help your content reach new audiences. 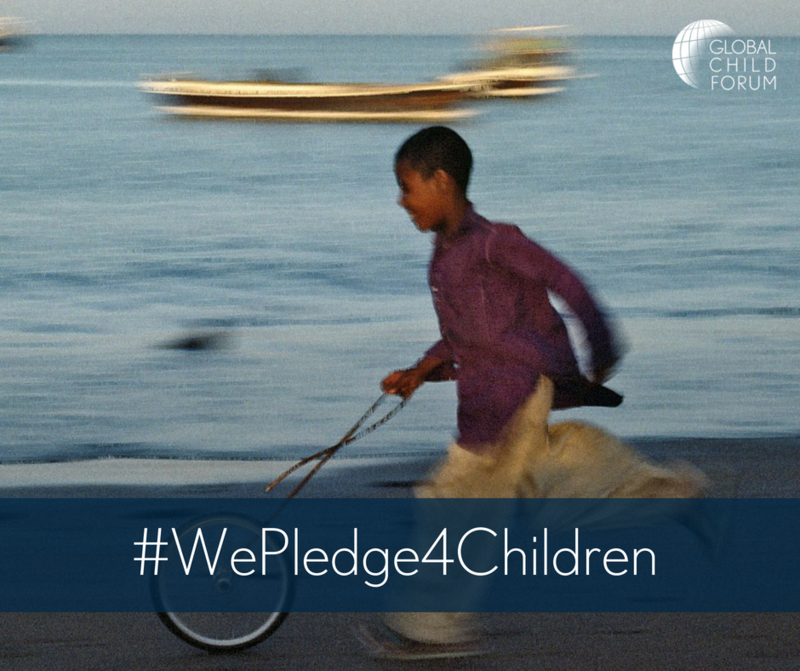 By adding #WePledge4Children to the caption of your Tweet, Instagram, or Facebook post, users who have clicked on #WePledge4Children in any other post will see yours too. Let your employees or those that you positively impact tell their story: Allow well-vetted, social media-savvy employees use your organization’s platforms like Instagram Stories, Facebook Live, and Snapchat to talk directly to your audience. It’s fun for your employees and engaging to your followers. Include strong photos in your posts: Action shots of your employees or pledge initiatives go a long way to illustrate the concrete contributions you are making with your pledge. Also, please see our social media badges above that you are free to use. 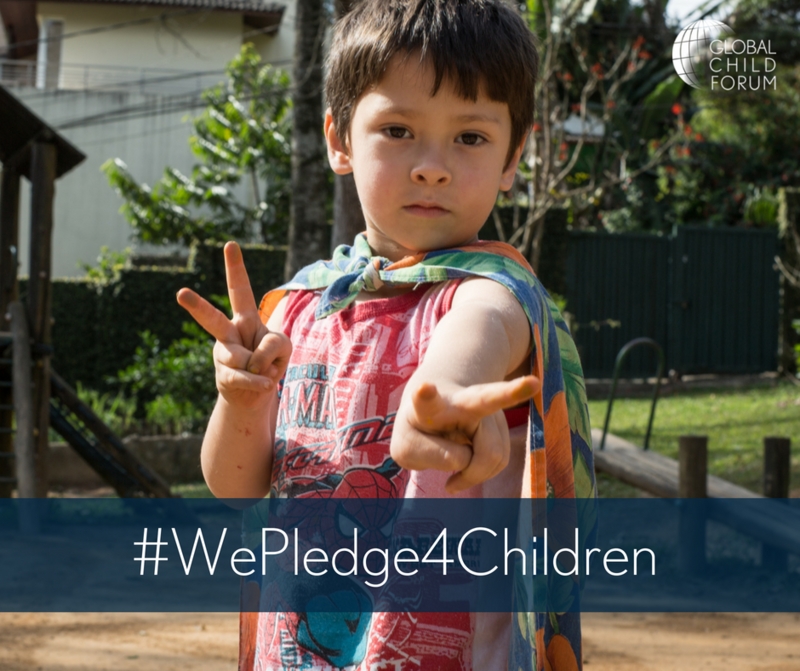 If you wish to use any other Global Child Forum photo, please contact us at pledge@globalchildforum.org and we will help you. Please follow us on social media! You can find us on Twitter, Facebook, LinkedIn, Instagram and YouTube. 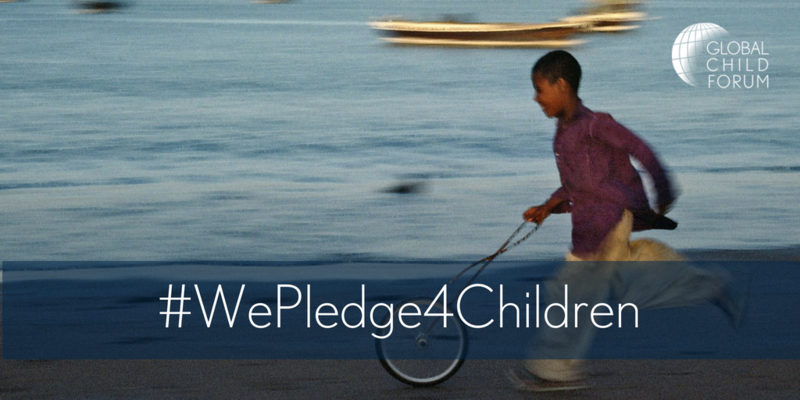 Please tag @GCForum in your posts related to the Pledge project/program and use #WePledge4Children. The benefits of a successful children’s rights program extend beyond doing good for children. In the business community, businesses are increasingly seeing links between maximising societal impact and maximising shareholder value. Benefits to companies of prioritizing children’s rights issues include identifying and gaining access to new locations, markets, and customer segments as well as generating new insights for innovation and product development. Thus, rather than seeing investment in social and environmental impacts as representing simply a responsibility, such investment should be recognised as an opportunity, especially if it is aligned with a company’s core business. So how can you make the most of your pledge? The steps below offer you a good place to start! 1. Identify where your company can make an impact: There are a myriad of different children’s rights programs that you can focus on in relation to children’s issues such as education, health, gender equality, climate change, digital safety, migrant workers or sexual exploitation. Corporates are now seeing their role in using company resources and know-how to contribute to this work. The question then becomes: what are the relevant issues to focus on? Read more here. 2. Ensure senior level commitment: A solid business case for your pledge program is required and should be linked to the core business of the company. To ensure this, businesses must establish commitment and involvement from the senior levels. This can be accomplished by having executive directors on the program steering committee and/or establishing regular reporting to the board. 3. Set goals: Have clear targets and a process in place for follow-up and adjustment. Setting goals sets you on a clear path to measure your success or re-adjust your course. 4. Find an expert partner: Partner with relevant children’s rights organizations and involve key stakeholders. There are several organisations that work with children’s rights, on the global, national, regional and/or local levels. Here’s a selection of the main global organisations, often with regional/local offices. 5. Bring your co-workers/employees on board: Your employees/co-workers are a great source of inspiration and energy. Linking your pledge to their work will bring deeper meaning to their activities while also helping you align your pledge to your process. 6. Publicize your pledge effort: Let the world know about your good work through press releases, website news stories, blog posts, social media blasts and/or through your company newsletter. We hope the communications toolkit above will make it easier for you! We know the best stories come from you and we want to hear from you throughout your pledge journey so we can help get coverage for your good work. And we’re always on the lookout for great content to feature on our channels.